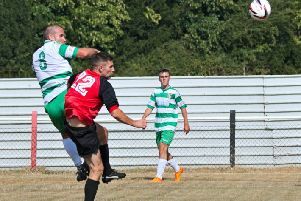 Aylesbury FC manager Scott Reynolds is looking ahead to the new Southern League season with optimism but he admits there’s still plenty of hard work to be done prior to their opening game on August 18. The summer has witnessed sweeping changes right across the club with Reynolds, who’s almost had to start from scratch having been appointed in May, overseeing a major overhaul in the playing squad. There will be many new faces on show for the Moles this season, including their two most recent recruits in forward Matt Cruse, who’s scored nearly 60 goals in the past three seasons for Buckingham Athletic and Ardley, and defender Lewis Strafford from Banbury United. 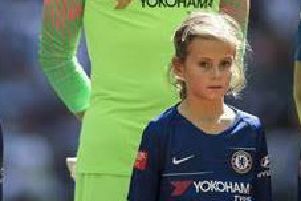 ”Even at this very early stage we are making good progress and going through an important period of transition as we prepare for the new season,” Reynolds told the club website this week. “This is a rebuild, and a fresh start and a completely new set up at the football club. There are now very few players left from last season, but we have nearly 20 new, hungry and committed players to get to know and support. Reynolds’ upbeat outlook comes despite a sticky run of results in pre-season. FC have lost four friendlies in a row, most recently beaten 1-0 in back-to-back games against Tring Athletic and Newport Pagnell over the past week. “Tuesday’s game (against Tring) in my opinion could have gone either way, both teams had good chances but they caught us napping at the back on the break and that was to be the difference in terms of the result,” added Reynolds. “There were many positives to take from the game including the performances and signings of Lewis Strafford and Matt Cruse. “It is no secret we have had defensive shortages and changes throughout the whole pre-season programme so far. “Noticeable absences include Jordan Jenkins and Craig Carby, whilst Matt Hall has chosen to return to my former club Leighton and trialist Temi Oladejo has been in hospital with tonsillitis. “They say you learn more about your team and players when you lose and that has certainly been the case.